When we first heard of a rumored Samsung Galaxy Premier handset that might be a Nexus device, we had our doubts, especially when we saw TouchWiz adorning the alleged leaked image from Mobile Geeks. 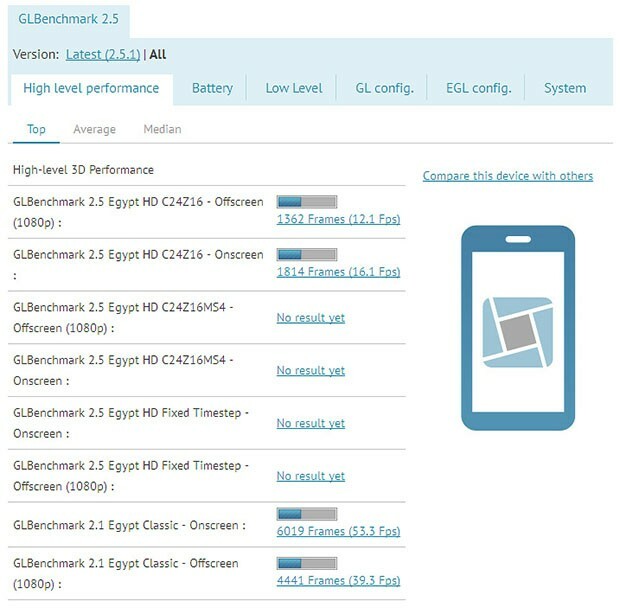 Now, GLBenchmark is also giving the idea of a new model more credence, as it briefly showed a possible GT-I9260 model packing a 4.65-inch HD Super AMOLED display, dual 1.5GHz processor and 8-megapixel camera. The page has since been pulled, but a screen cap of the benchmark (after the break) shows PowerVR SGX 544 graphics on the device along with middle-of-the-road scores, though all that would be on a pre-production handset without final software, if it's accurate. Whether such a device would come along at a Google event or one of Samsung's shindigs remains to be seen, but its very existence should be taken with a boulder-sized chunk of salt.